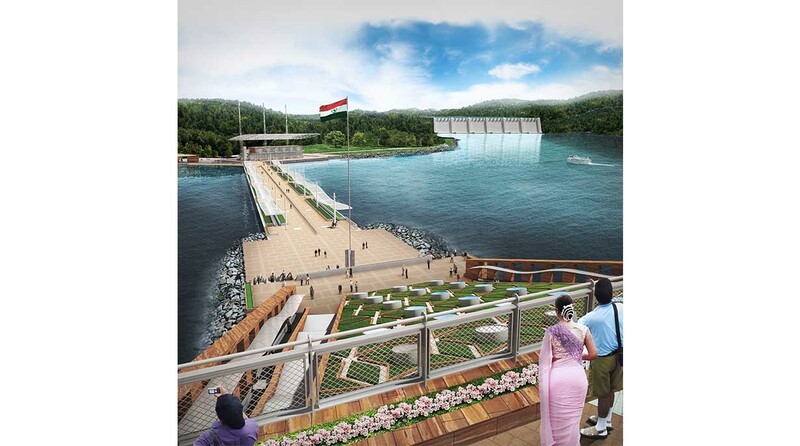 The Statue of Unity is a landmark project centered on a colossal statue – the largest in the world at 182 meters tall – of Sardar Vallabhbhai Patel, a seminal figure in the history of modern India during its independence from British rule. He is credited with having convinced over 500 individual princely states to join the new unified Indian nation. 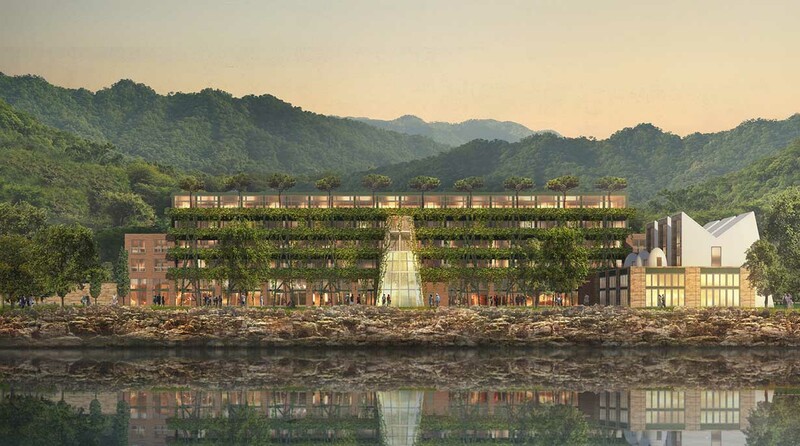 The project both commemorates Sardar Patel and catalyzes tourism within the region and the surrounding 2,200-acre preserve along the Narmada River according to MGA&D’s master plan. 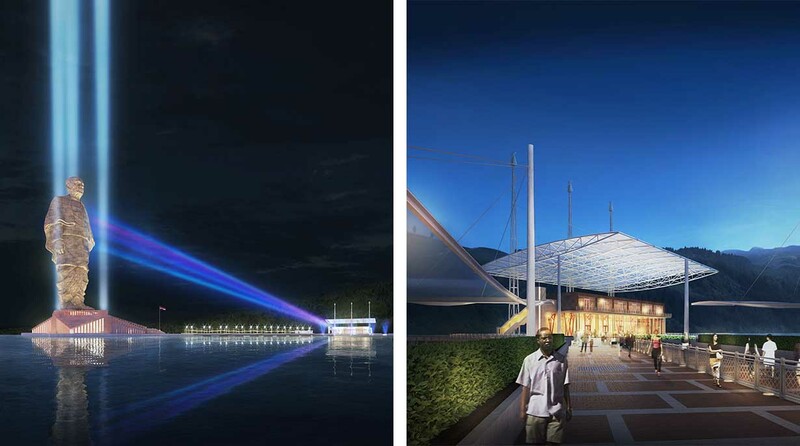 In addition to the Statue, which stands on an island in the river and has an exhibit hall and memorial garden at the base, the project includes a canopied bridge to the island, a visitor’s center, a hotel and conference center, a transit center and a 3.5 km road from the nearby town of Kevadia. Over 15,000 visitors a day visit the Statue. MGA&D designed the concept for the entire project which was provided to an EPC (Engineering Procurement Construction) Contractor and its design team to execute with our ongoing design review. 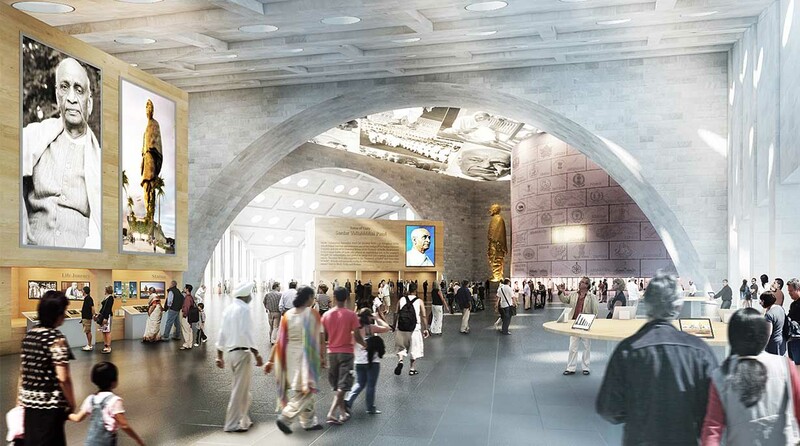 Our concept for the Statue was based on previous work of the noted Indian artist Ram V. Sutar who later oversaw the aesthetic development of the equivalent of a 50-story building that authentically replicates Sardar Patel’s appearance in a walking pose. 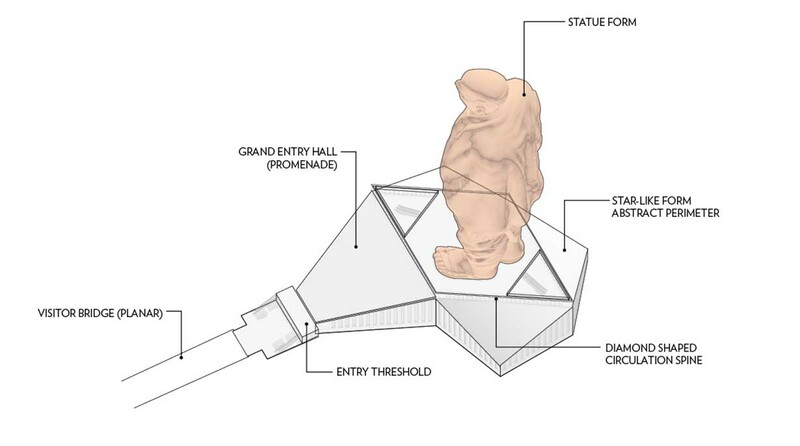 A viewing platform at the Statue’s chest accommodates 3,000 daily visitors who can experience the Statue’s interior and panoramic views of the river and preserve. 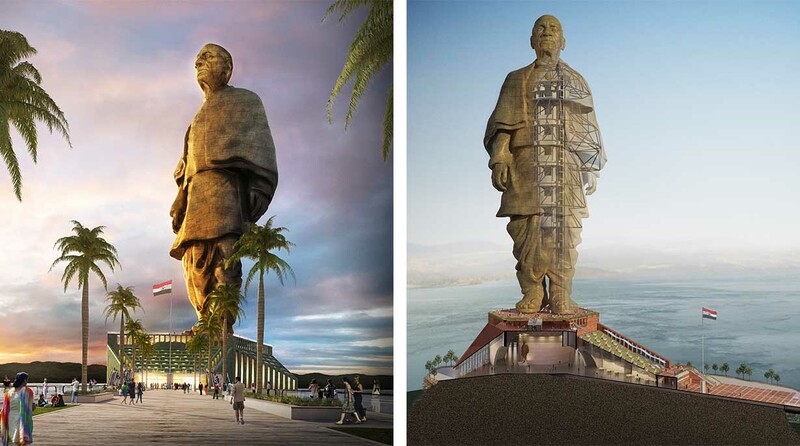 The clients set the 182-meter height of the Statue to reflect the number of constituencies in the Gujarat Assembly. At 182 meters (597 feet), the Statue is nearly 50 stories tall; with its base, it measures 240 meters. The roof of the Statue’s base is conceived as a memorial garden so that the view from above focuses on a contemplative landscape as a foreground to the bridge and river below.